Everton Under-23s captain Morgan Feeney believes the quality and togetherness of David Unsworth’s high-flying side can bring a repeat of 2017’s Premier League 2 title success. The young Blues travel to fellow contenders Arsenal on Monday night, with top spot in the league table on the line. 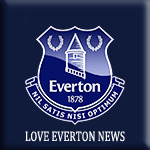 The Toffees head into the game aiming to rack up a fourth victory on the spin and Academy graduate Feeney revealed confidence is coursing through the veins of the squad. The 19-year-old centre-back says the team spirit and winning mentality in the camp resembles that of the title-winning crop from two seasons ago. ”With the quality of squad we’ve got, that’s always the ambition for us, to go on and win the league,” Feeney told evertontv. “This year, there is a real togetherness and I go out there feeling like we’re not going to lose games at the minute. We’re a tight-knit bunch and we’re always looking out for each other on the pitch. “It helps if you’re going for a league title and you’ve got a group like that, like we did a couple of years ago when we won the league. It’s a similar feeling. Bootle-born Feeney got on the scoresheet as the Under-23s came from behind to beat West Ham United 2-1 at Southport in their last Premier League 2 clash. The young Blues had fallen a goal down against the run of play at the Merseyrail Community Stadium before Feeney delivered a captain’s goal – arching his neck and powering home a Tyias Browning centre into the bottom corner. The strike proved the catalyst for a dominant Everton display in the second half and Bassala Sambou completed the turnaround from the penalty spot 10 minutes from time. Feeney’s goal was his first since returning to the side following knee surgery. The defender made his comeback in the 3-0 victory at Blackburn Rovers on August 31 after almost six months on the sidelines. The lifelong Evertonian has since featured in a further five matches and revealed he is starting to feel stronger with each passing game. And he says seeing his header hit the back of the net against the Hammers was a special moment. “The cross was a little bit behind me and I just thought, ‘I’ll throw everything at this’,” Feeney said. “It’s been a long time coming, I’ve been a long time out, so I had a bit of a mad celebration! “It was massive for me. “I’ve had a few games now and, if I look back at the first one, my match fitness has definitely improved. “I’m getting there, slowly. It’s not something that happens overnight. It’s certainly feeling better, though, so that’s a good sign. David Unsworth was left frustrated after his young side earned a 0-0 draw at Arsenal. For a team missing Fraser Hornby, Antony Evans, Josh Bowler and Brendan Galloway, this was a decent point for Everton. However, with a bit more luck in the early stages it would have been all three. Unsworth was seething in the fifth minute of the game when Bassala Sambou was sent sprawling inside the penalty area only for the referee to decide against pointing to the spot. Shortly after, Dennis Adeniran had a well-struck shot cleared off the line superbly by Danny Ballard and then, from a corner, Morgan Feeney’s goal-bound header was very well saved by Gunners keeper Deyan Iliev. There was a massive blow for the Toffees before the break when Lewis Gibson fell awkwardly whilst making a sliding challenge and was stretchered from the field. This was an absorbing contest between the top two teams in Premier League 2 and it was almost decorated with an amazing goal on the hour when Tyias Browning spotted the Arsenal keeper off his line and fired a free-kick goalwards from inside his own half. Iliev just managed to back track in time to stop the ball flying into the net. As the second period progressed, both sides had chances from corner kicks. First, Feeney headed wide and then, at the other end, Tyreece John Jules headed over. Genuine openings for either side were few and far between after the break but Nathan Broadhead was unfortunate to see his close-range effort scrambled away as Everton pressed late on. Arsenal’s best chance of the game came with four minutes to go when Eddie Nketiah headed over from close range. “We should have won the game,” said Unsworth. “The back five were outstanding - we limited Arsenal to a couple of opportunities. “Kyle John, on his first start, was outstanding, and Tyias and Morgan look a class above at this level. The result leaves Everton top of Premier League 2, level on points with Arsenal but ahead on goal difference.